As the credits rolled down amongst loud applause, Mostofa Sarwar Farooki could not help reiterating the words inside his head – lights, cameras, action! Suddenly, he was under the microscope and it was he who was now playing the part for a change – smiling and nodding in appreciation to the 6,000 viewers, answering questions forwarded to him by the media. As lights flashed around him, Farooki, along with the artists of Television, walked the red carpet, and spoke to the international film critics – about 'Television', his life, his country and his inspirations. He speaks of this exhilarating experience with the Star. 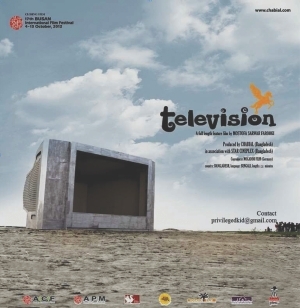 Mostofa Sarwar Farooki's latest endeavour, 'Television,' his fourth film, was selected to be the prestigious closing night film at the 17th Busan International Film Festival on October 13, 2012. Screened for the first time in South Korea, the festival had begun on October 4, opening with 'The Cold War,' a film by Longman Leung and Sunny Luk from Honk Kong. It was for the first time, that a Bangladeshi film had been chosen to open or close a film festival and that too the Busan International Film Festival, regarded as one of the top 10 film festivals in the world. Film publications and websites all over the world had echoed both the events as highlights of the top film festival in Asia. 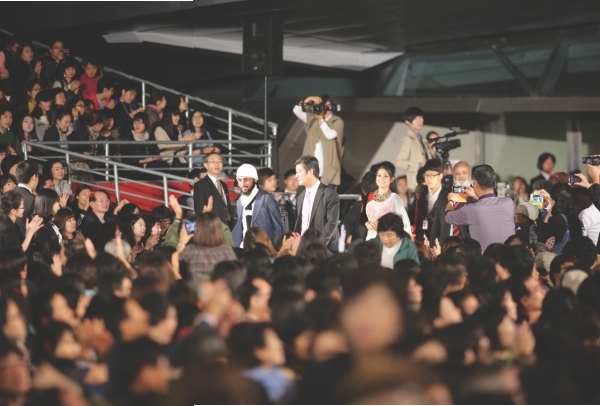 Wall Street Journal's headline read – “At Busan Film Festival, starring roles for Honk Kong and Bangladesh”; AFP said “A Honk Kong action thriller and a rural drama from Bangladesh will open and close Asia's top film festival”; and the famous Screen Daily said – “Busan to open with Cold War and close with Television”. 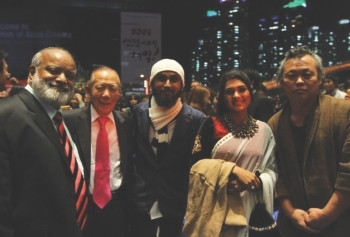 Mostofa Sarwar Farooki and his team walk the red carpet at the Busan International Film Festival. 'Television' was awarded the post production fund and a script fund from Asian Cinema Fund from Busan festival. The film was also awarded the Gotteborg Film Fund from Gotteborg film festival. It was also a selected project of Asian Project Market 2010 and Film Bazaar India 2010. According to the Hollywood Reporter, the Busan International Film Festival (BIFF) director Lee Yong-kwan says, 'Television' was an easy choice as the closing film. “It was first of all very entertaining as a movie, in both its subject matter and storytelling. It was selected by not only BIFF but also representative experts from around Asia for the Asian Cinema Fund, for a reason,” he said. “A new trend can be industry-related or artistic, and the fact that a country is creating domestic films through telecinema is monumental. BIFF felt compelled to showcase this movement." The cast of 'Telvision' include, Shahir Kazi Huda, Mosharof Karim, Chanchal Chowdhury, Nusrat Imrose Tisha, Shamim Shahed, Imam Lee, Mukit Zakaria and others. The cinematography was done by Golam Maola Nabir, edited by Rajon Khaled, sound was done by Ripon Nath, music by Ayub Bacchu and Golam Kibria was the Production Designer and Assistant Director of the film. 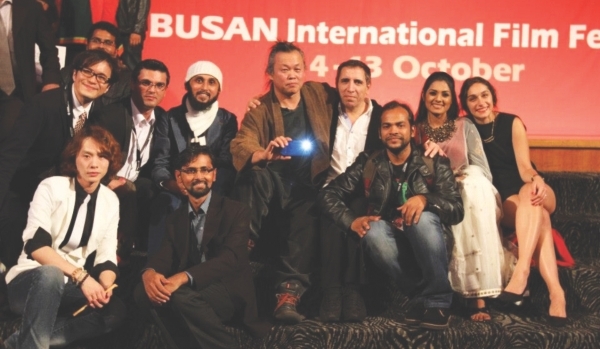 Shahir Kazi Huda, Kim Dong Ho, Farooki, Tisha and Kim Ki Duk pose at the BIFF. 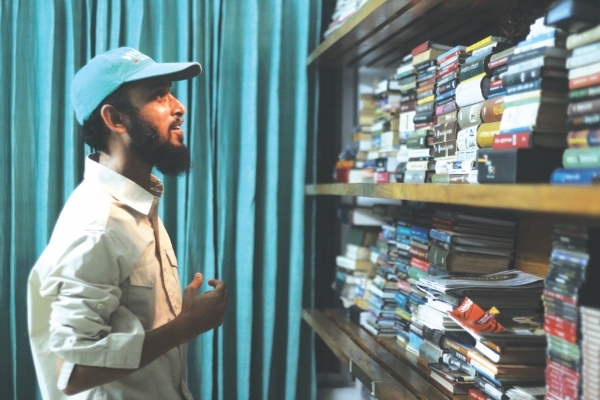 For Farooki, filmmaking was a learning process that happened outside the confined walls of a classroom. Farooki is inspired by so much around him, even a relaxing game of chess! Mohsen Makhmalbaf (centre R) at the closing party at BIFF. Farooki stresses on how we need to have our own signature in films that we make. In fact, this is a thought, not only prevalent in the area of filmmaking, but in other areas as well. Only then can we be able to create a whole new generation of young and talented Bangladeshis who can put Bangladesh on the map. “We need to have our very own signature. And I know we can!” says Farooki. “We have that potential in the bubbling pipeline. We have a lot of interesting filmmakers who are still working for the television industry. We need to channel this energy to the big screen and we also need to find financing for them. I am now trying to set up a production company that will mainly produce younger filmmakers. I am already in talks with some interesting filmmakers with great stories. I hope I can manage funds or investments from local entrepreneurs or banks or some other sources for these films.” Mostofa Sarwar Farooki is doing his part. It is now time for us to do ours! “Let us hope for the best,” he says. The writer is Editor, Star Campus.